Give Us a Vote! | Bland & Associates, P.C. 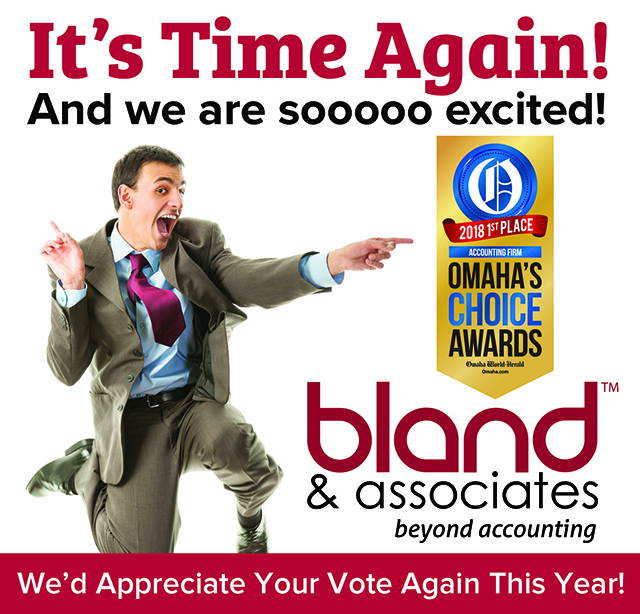 Register at Omaha.com/choice, then go to http://omaha.secondstreetapp.com/Omahas-Choice-Awards-2…/…/…and vote for us today through Sunday, April 21st! Once registered, you may cast your vote once per day per category. Omaha Choice Awards brings bragging rights to hundreds of local businesses and a lucky voter will win up to $500 in gift cards!